We may become wiser with age but when it comes to grandparents rights and Oklahoma courts, your wisdom might not carry much weight. Unexpected changes such as divorce, separation, adoption, incapacity of a parent due to illness or even incarceration of a parent can tear down bridges grandparents have built with their grandchildren. A Tulsa grandparents rights attorney can provide the counsel and legal representation you need to protect your investment in your grandchild’s future. For a free confidential consultation with a Tulsa Oklahoma grandparents rights attorney, call the Wirth Law Office at (918) 879-1681. Grandparents might think their right to visit or care for grandchildren are fundamental rights under the law. That’s seldom the case. There is no constitutional protection for grandparents rights, nor basic statutory requirement in Oklahoma law that all grandparents must be afforded rights to care for their children’s children. 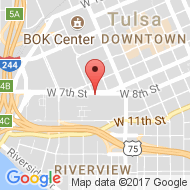 Instead, Oklahoma law leaves it up to a court to determine whether a grandparents visitation or custody is in a child’s best interest. Oklahoma family law prescribes particular circumstances in which a court may grant grandparents visitation rights. Those circumstances generally involve disruption of the child’s birth family or nuclear family. The circumstances in which grandparents suddenly find themselves separated from grandchildren can involve things we would usually rather not anticipate. We hope the best for our children as they become parents and step aside from our parental role as they come into their own. 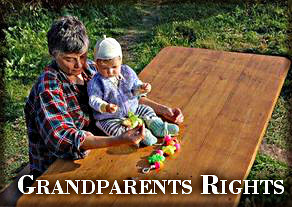 Oklahoma grandparents rights attorneys know all to well things don’t always work out as planned. Parents of unplanned children may decide to offer their child a better life through adoption. A parent may lose custody of children as a result of drug or alcohol use, or because they are incarcerated. Without the consent of both parents, seldom is the grandparent systematically presumed to be the default caregiver. Grandparents may be frustrated to learn any stranger can put down money to claim ownership of a horse at a racetrack but an Oklahoma grandparent has little legally recognized right to step in and claim their role the life of a grandchild. When a parent is separated from children by tragedy, for whatever reason, a surviving spouse may decide to move on without including their late spouse’s parents in the child’s life. In circumstances like these, what can a grandparent do? It’s seldom an easy answer. The best course of action is sometimes to be ready to show how a grandparent’s involvement in a child’s life is in the best interest of the child. How can you show that? It’s a matter where a judge’s discretion, based on available evidence, can be a deciding factor. The way you relate with your grandchildren now can make a difference in the future. Overnight stays, shared vacations, routine visits, participation in school events, financial support, and moral support can offer evidence that your involvement is in the best interests. A Tulsa grandparents rights attorney can counsel you in how to best document your role in your grandchild’s life, and provide legal representation when you need to show a court how you care for your grandchild. 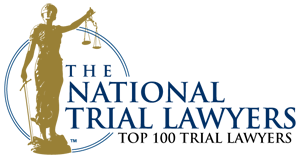 If you would like a free consultation with a Tulsa Oklahoma grandparents rights attorney, call the Wirth Law Office at (918) 879-1681 (or toll free at (888) Wirth-Law) or submit the question form at the top right of this page.